The Target Saver: Target: Poise Pads, 30-count- As low as FREE! 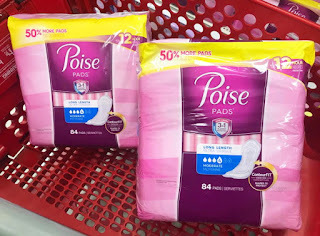 Target: Poise Pads, 30-count- As low as FREE! Now thru January 31st, Ibotta is offering $3 cash back on select Poise Incontinence products! This offer is valid on the Impressa 10 count pack, the Liners 81-87 count packs and the Pads 24-66 count packs.